Whyte Bicycles chose the Sea Otter as the place to launch the brand new S-150 29er and we were lucky enough to get a full tour of this new, carbon long travel machine. 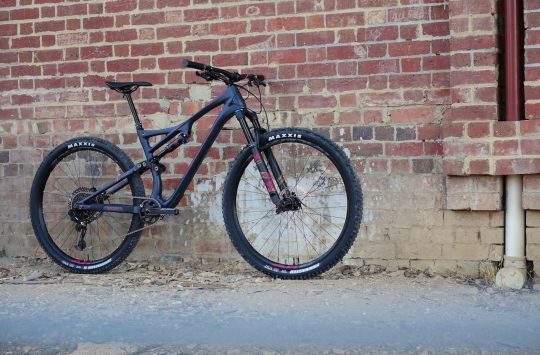 The S-150 is a 29in wheeled bike with an aggressive 150mm of travel front and rear. 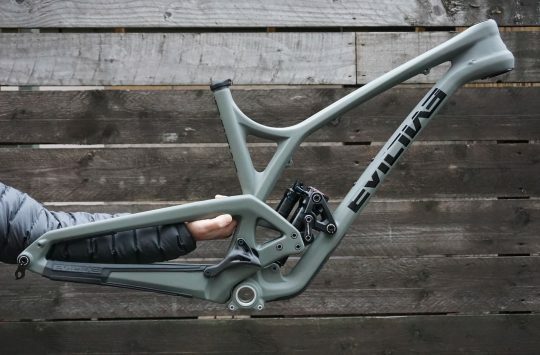 In keeping with the rest of its popular 27.5in trail bikes, it’s long, low and slack. In fact, the quoted head angle is 65.5°, which is bonkers slack for a 29er and gives you some idea of the kind of terrain that Whyte expects this bike to be thrown down. 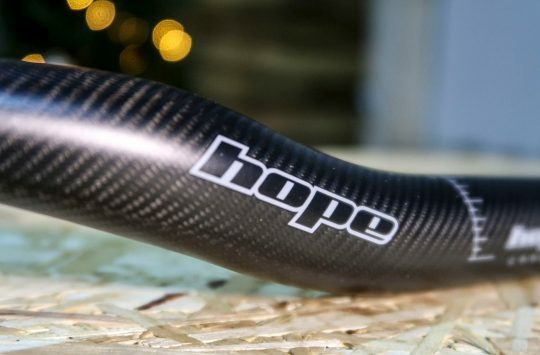 In keeping with the long and low look, the seat tube barely increases with frame size – it simply comes with a longer dropper. The S-150 is specced with a 150mm Pike 29er – the first we’ve seen on a complete bike. 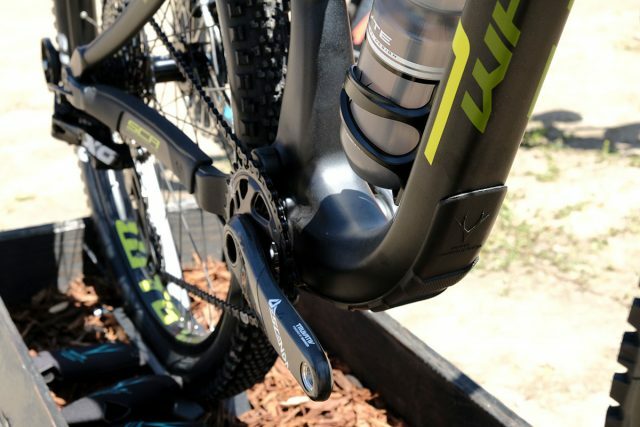 A big change with the frame is a move to larger pivot bearings for greater stiffness – and then alloy hardware to knock the weight back down. 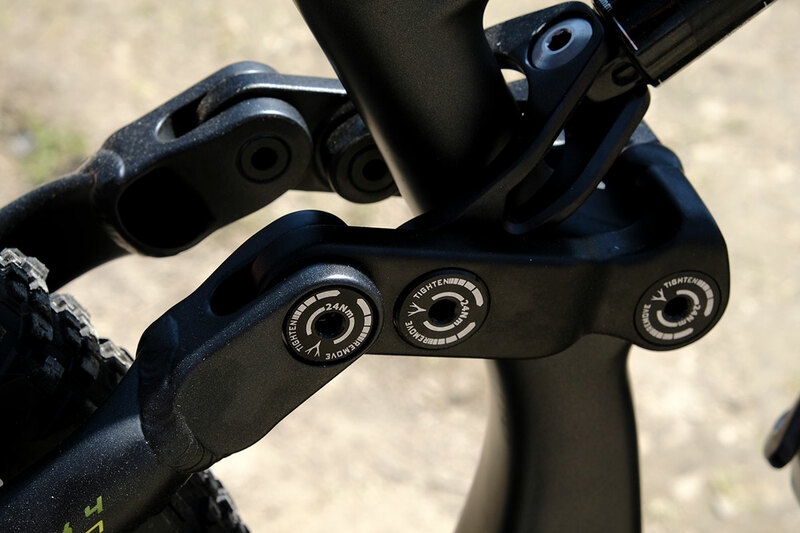 As with other Whytes, the bearings are guaranteed for life. 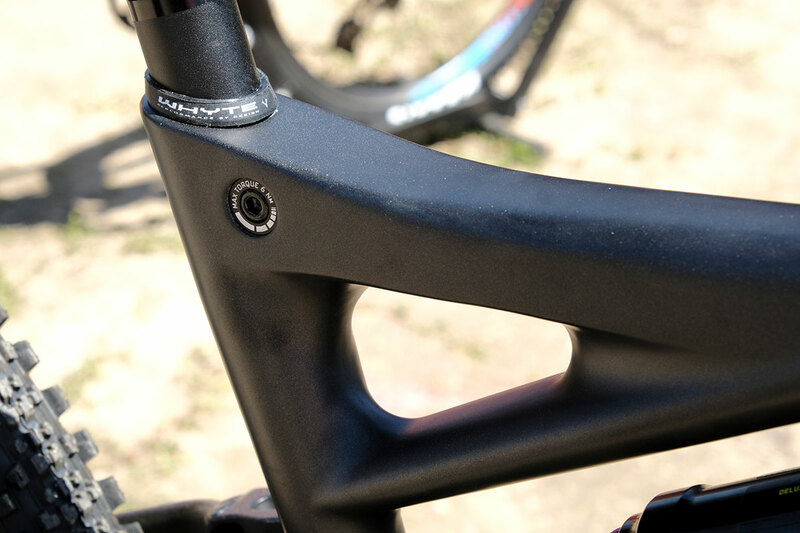 The (alloy) seatstays have two-sided clevis pivots for greater stiffness. 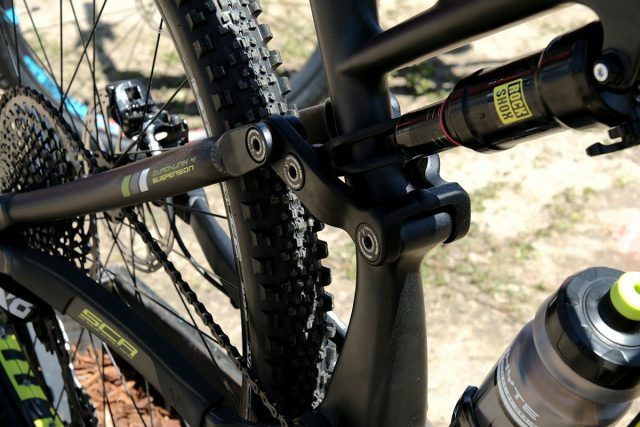 It won’t surprise you to find that the S-150 has been designer without regard to front mech compatibility. 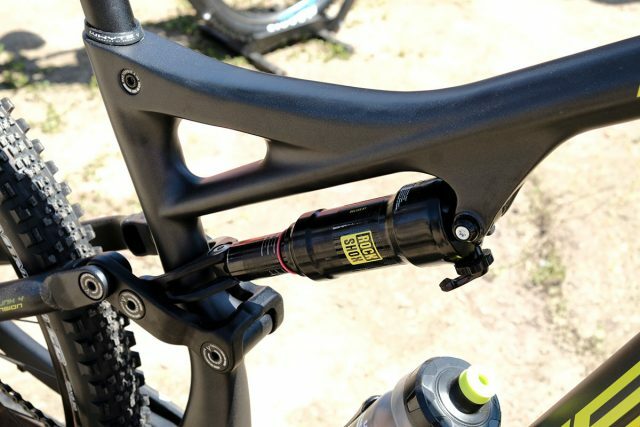 In a similar move, it’s been kept up to date with a Boost rear end and a metric rear shock. 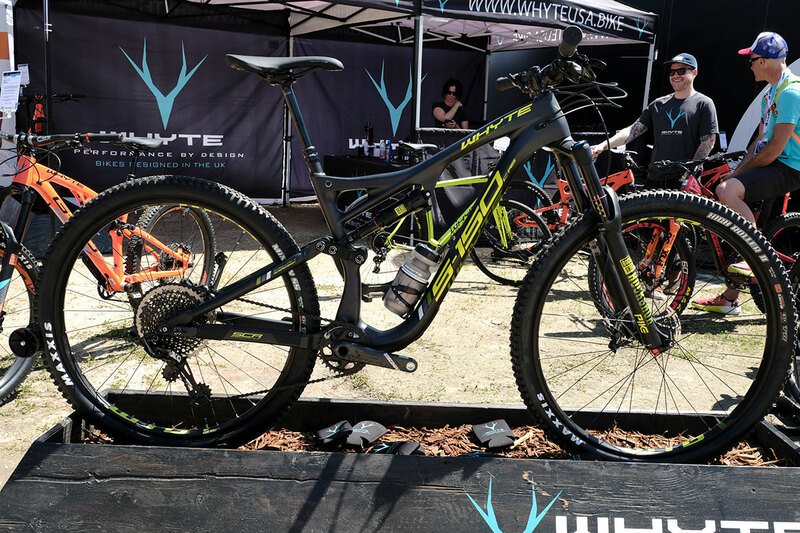 Interestingly, our guy at Whyte didn’t particularly know if the frame would take a 27.5in with a plus tyre, which is something we like – this is obviously a bike designed just for 29in wheels without compromise. 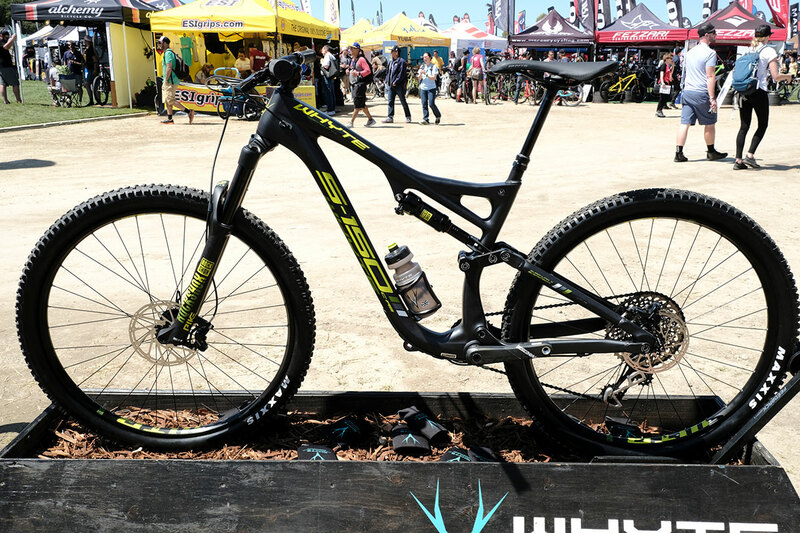 Fatter, smaller wheels might fit, but that’s a bonus if they do. A rubber boot keeps the seat tube crud free and how about that neat binder bolt? And, so when can you get to see this beauty? 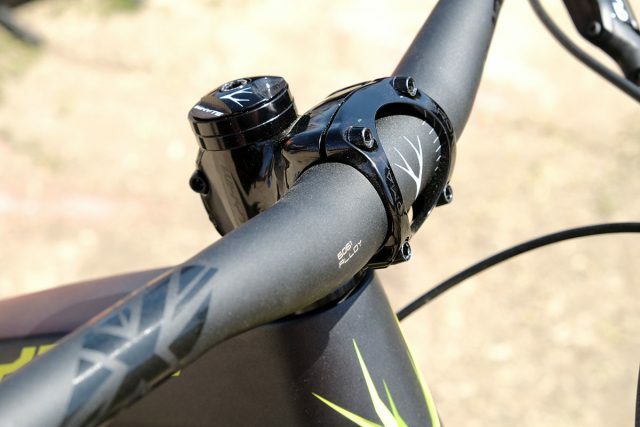 Well, we have heard that specs and pricing will appear in July, with the bikes arriving in the UK in August. However, we expect that the Whyte pro enduro team will get some special treatment, so expect a sneaky peek at an enduro race near you soon. 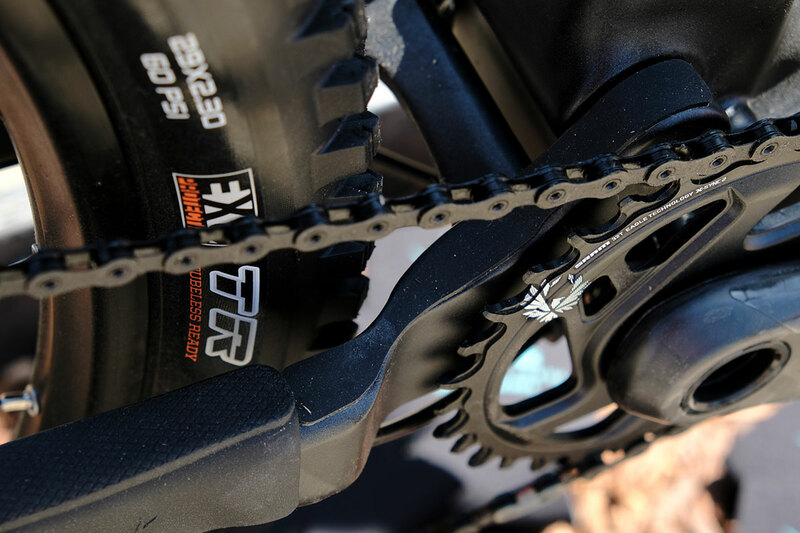 And talking of spec, this is the RS spec of the bike. 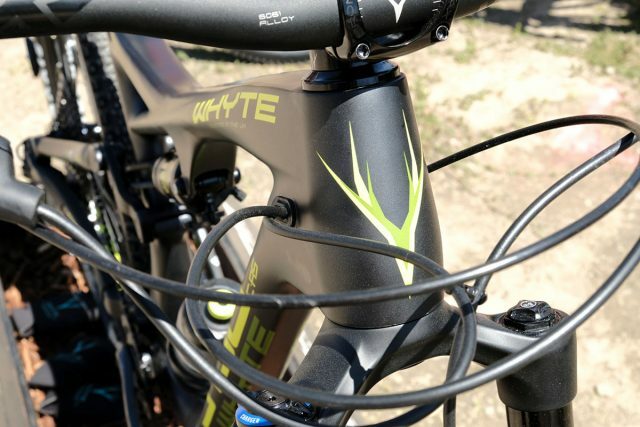 Given Whyte’s general nomenclature of bike spec, we’re going to extrapolate that and say that you’ll probably be able to see a more affordable specced bike – and perhaps a full-on factory race version too. Watch this space! 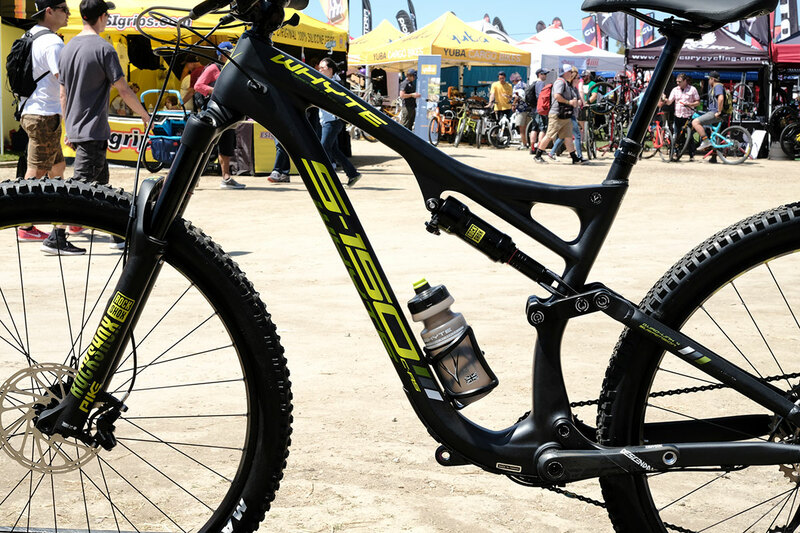 Clean lines for such a big bike! Take my money. Take it now. 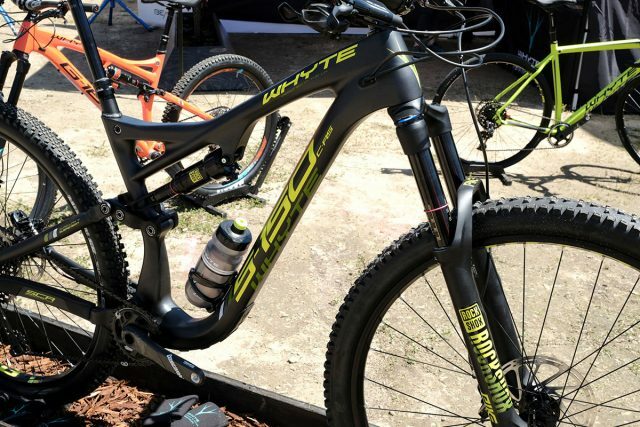 Anyone want a Whyte T129?